Happy Monday! I hope everyone had a wonderful Mother's day, either celebrating or being celebrated. Brunching with the one and only Debs! I know things have been awfully quiet on the blog lately, but if you follow me on instagram, you may have noticed that I was busy enjoying a much needed vacay! 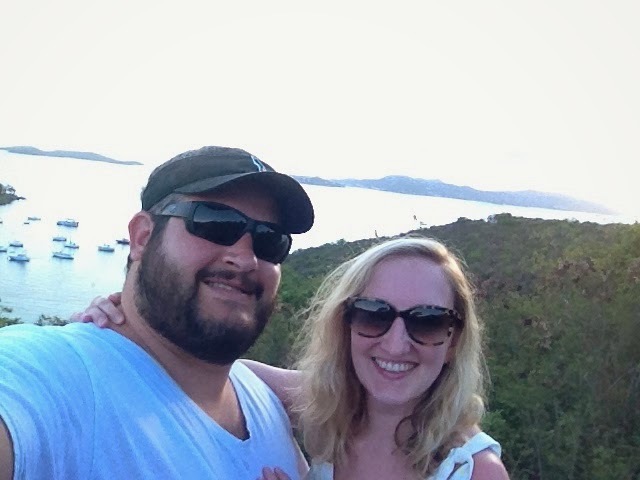 Mike and I just recently returned from our belated honeymoon in St. John, USVI. I must say, this was absolutely the best vacation i've ever been on. We googled our hearts out before settling up on St. John, and we're so glad that was the choice we made. Rather than staying at a resort, we opted for a great little house we found on VRBO. We had our own pool, beautiful ocean views, and being able to cook our own meals was the icing on the cake. The ocean was absolutely pristine. We swam so far out and the water was as clear as any swimming pool. May in St. John was so beautiful, and we were able to afford a great house because it is the off season (but not yet rainy season, which starts in June). Vacationing alone means lots of selflies! Each night we enjoyed cocktail hour and appetizers on our porch and watched the sunset. The island life was so laid back - just the rejuvenating trip we needed! 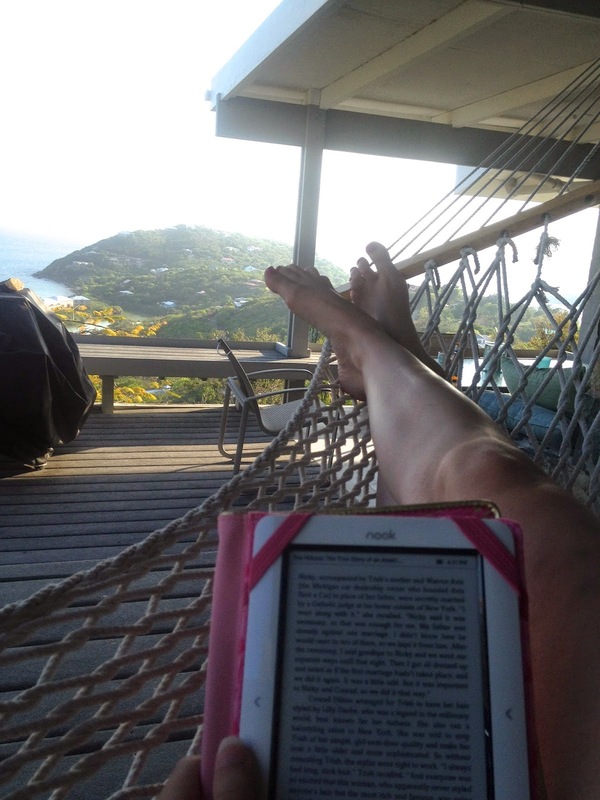 This is how I spent every afternoon - enjoying a good book and siesta in the hammock! I'm back in the swing of things this week and will be back to blogging as well! Wow, these pictures are gorgeous! Glad you had such a wonderful time!